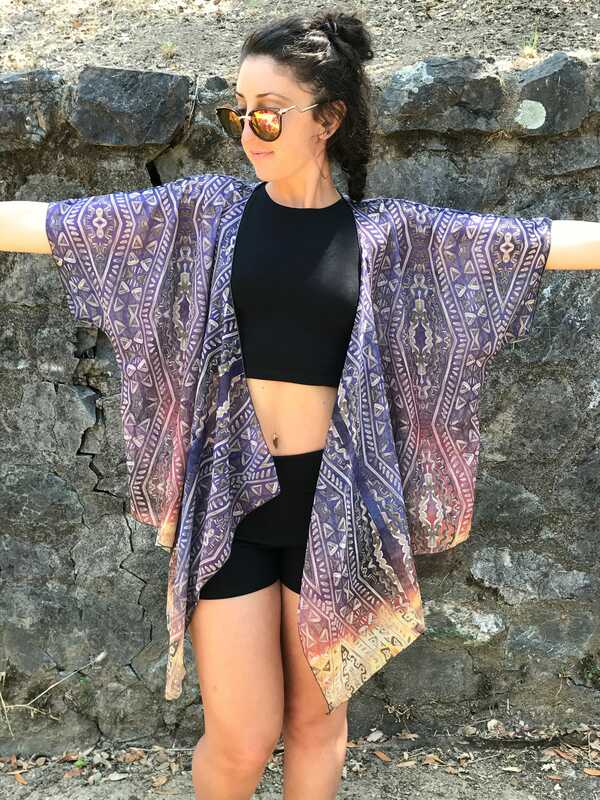 Δ Light & airy, versatile layering kimono... dress it up or down... great for festivals and as a beach cover up. 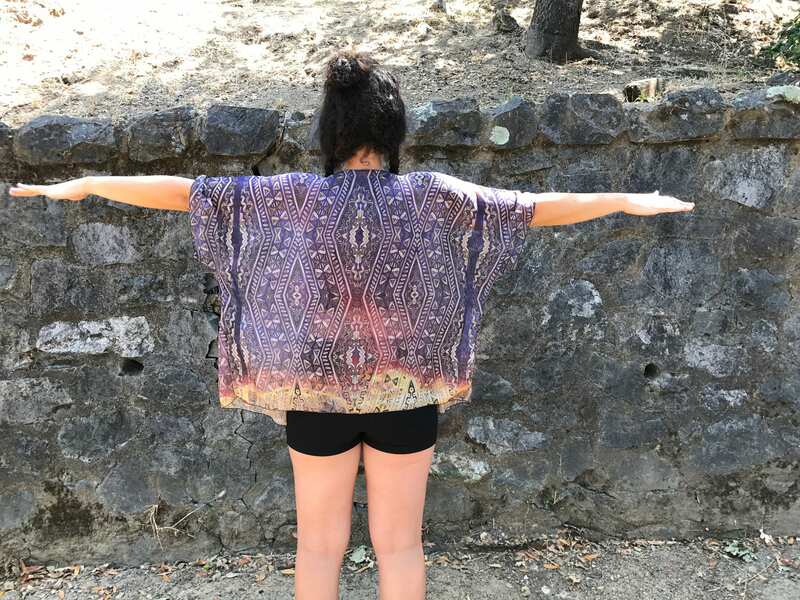 Δ Lightweight woven chiffon fabric in 100% polyester. Quick dry fabric. Easy Care: Machine wash in cold water and hang to dry. Our quick dry fabrics mean you will be back in your kimono quickly! Δ Vibrant print will never fade with wear or washing. Print will be seen from both sides.